An intriguing new addition to the Arsenal canon is the Dr Seuss style paean to the recent Doubles of 1998 and 2002. Written in rhyming couplets it is dichotomous: the first being the 1998 and second being the 2002 double. It essentially, and very faithfully, recounts each season in which Arsene Wenger managed the teams to League and Cup success. Chronologically accurate it covers events that happened via poetry; including the arrival of Wenger, Wrighty’s all time goal-scoring record, Overmars’ goal at Old Trafford, Tony Adams’ icing on the League cake, Sol’s capture from under their noses, Wiltord’s goal at Old Trafford, and Raymondo’s cracker at the Millennium. 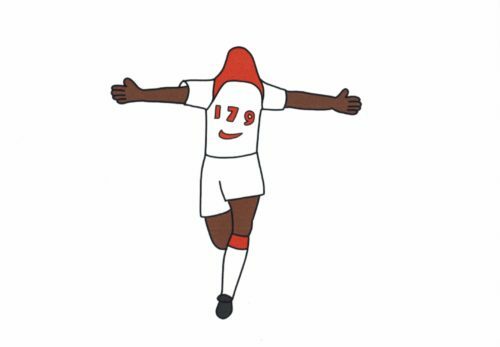 Both Andy and myself are big fans of the illustrations by Poorly Drawn who, for a while, has been plying this trade on Twitter with interesting but stripped down images of Gunners. 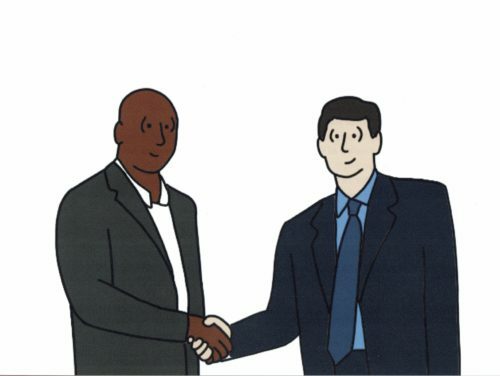 These colour drawings feature all through the book and add immensely to the overall feel of the publication. Our north London rivals done up like a kipper, For free and gratis, we had taken their skipper. And the note to Bob Wilson was reciprocated as Bob assisted Dave at the Willow-inspired launch of the book. 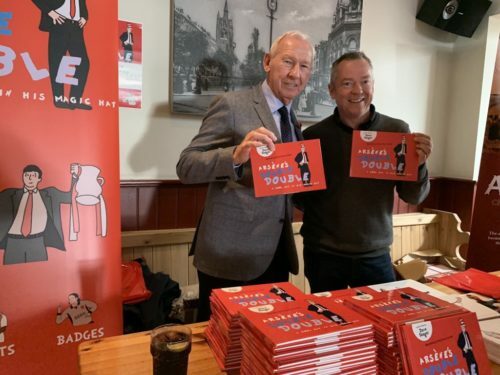 This well presented unique book is well worth buying, especially if you were a fan, as a child, of Dr Seuss and, even if you were not a fan of Seuss, would be a great addition for your Arsenal youngster’s Christmas present pile. 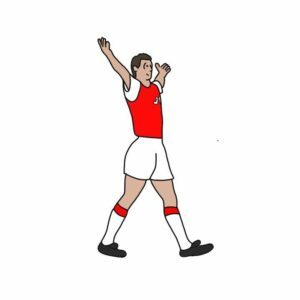 Purchase it from Legends and this limited edition also includes two high quality prints from the book (which you can frame at home) and a Tony Adams badge!